It was a success, Nikki! Foi um sucesso, Nikki! Last week before I left to the country I’d received a package from dear Nikki, just in time to take the plastic needles with me and have a surprise in store for ALL of them. Thanks, thanks, thanks! But what most touched me was her child’s design. It will be scrupulously kept! You, dear readers, must take a look at You SEW, girl! and at Nicole Mallalieu’s website. Na semana passada antes de sair para uns dias no campo recebi uma encomenda da querida Nikki, mesmo a tempo de levar comigo as agulhas de plástico e ter uma surpresa reservada para TODAS as meninas. Muito, muito obrigada! Mas o que mais me tocou foi o desenho da sua pequenina. Será religiosamente guardado. E, caros leitores, vão ler o You SEW, girl! e dar uma volta pelo Nicole Mallalieu website. Vale a pena! 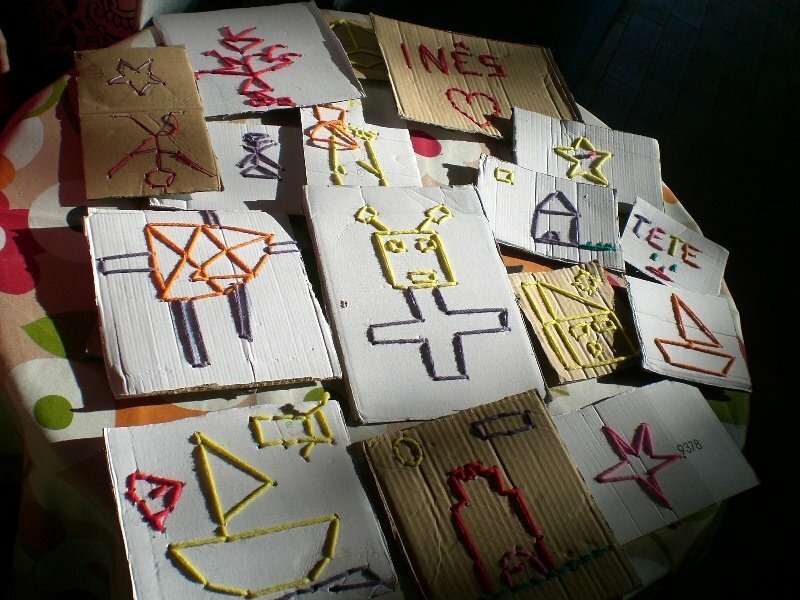 the result: “only” these embroideries because the board just finished! o resultado: “só” estes bordados porque o cartão esgotou! As agulhas de plástico ficaram lá. Para a semana estarão outros sobrinhos-netos, um pouco mais novos. Não sei se terão este entusiasmo. Veremos! The plastic needles were there. Next week we will be there again with other grand-nieces and grand-nephew, a little younger. I don’t know if they will have this enthusiasm. We’ll see! This entry was posted in amigos/friends, coisas / things by meri. Bookmark the permalink. Quem tem Avó, tem tudo!!! Looks like the sewing activity was a huge success!! Those plastic needles are the best for kids crafting. I can tell you that plastic needles and wooden needles are great for adults to – those of us who travel…they typically don’t confiscate them in security! Looks like a great time was had by all. 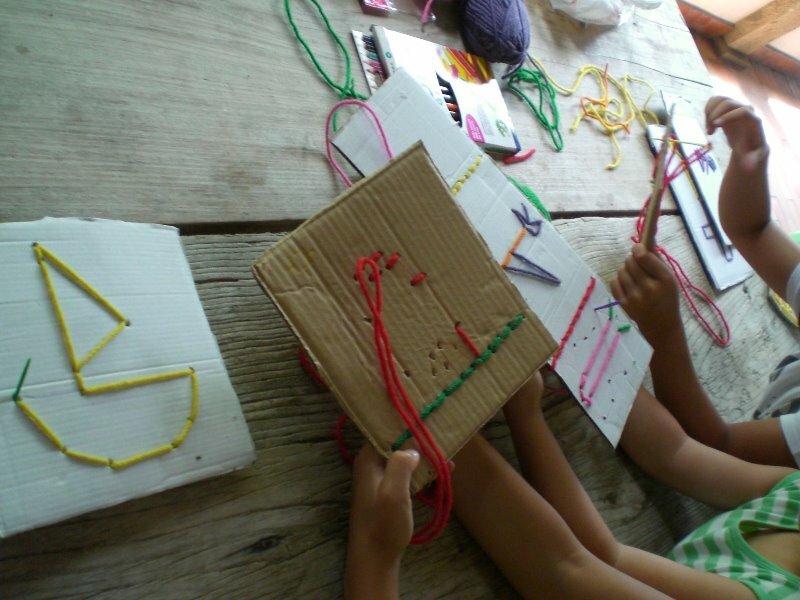 That looks like such a fun activity – the children’s work is excellent! 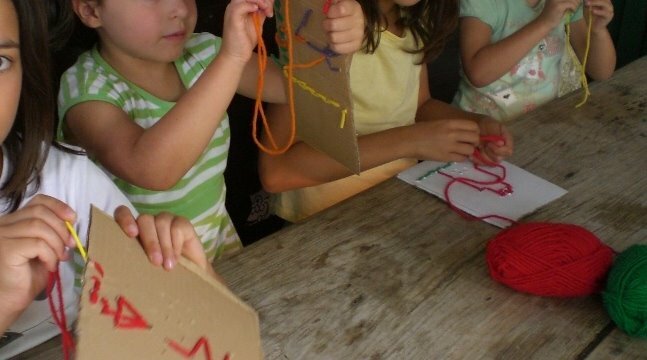 what beautiful photos of the children sewing – what a fabulous idea! Nikki is great isn’t she? And now I have found another blog to read!